25th Febraury’2017, The 6th Business Anniversary of Shriram Automall India Limited (SAMIL), was celebrated in 60+ locations all over the country, which highlight all the good & important about this distinguished institution & proved resources they offer to boost their customer experience. Day of 6th business anniversary turned out to be a great success for the company as company has betides transactions of over Rs.8,000Crs in a span of just 6 years through mega bidding events organized in multiple locations. Company is best known for being India’s most trusted network provider with well structured bidding platform for buying and selling of pre-owned vehicles; farm, construction, industrial equipments etc. In a very short span of 6years, company has successfully created, over 6.5lakh customer base & has also become their no.1 choice for all pre-owned vehicles & equipment demands. Through all the services and easily accessible, innovative platforms that company provides for its customers, SAMIL has proved that rather than dreaming of success, company knows how to wake up and work hard for it while providing the most user friendly environment of all time for their customers. And as a part of one of company’s many endeavors, company launched “MY SAMIL APPLICATION” for its customers all over India, while aiming to provide its customers with an easily accessible advance solution which will help them to bid and go through company’s advance inventory form anywhere & everywhere. In the market full of highly occupied conservative and unreliable trade practices, SAMIL has successfully created a name for itself through completely transparent trade practices. And as it’s said “Never trust the teller, trust the Tale”, we can see the goodwill of the company as a reflection in its customer’s smile. With incredible amount of progress in just 6 years, SAMIL has been highly appreciated for its result oriented efforts by its industry pundits, through many awards or accolades. This year as well company through its hard work, made its name in “Limca Book of Records” for the second time as “The Largest Platform for Acquisition & Disposal of Pre-owned Vehicles & Equipment” and for Conducting “Highest Number of Physical Bidding Events in a Single Day”. By unveiling these Two National Awards on the business anniversary event, company very effectively transferred enthusiasm & joy among everybody present in the event, including both customers & employees. Overall events in all 60+ locations, was a great success and quite historic, as through 7,500 used vehicles & equipment on display for disposal, company churned out the highest amount of business ever in a single day in SAMIL’s own history. SAMIL also inaugurated its 66thAutomall in AGRA, making the anniversary day even more special while taking one step ahead, towards the fundamental aim of serving more & more customers all over India. SameerMalhotra (CEO, Shriram Automall) said: Company was already a big hit for being the no.1 service provider for buying and disposing used vehicles and equipment, offering negotiated deals with complete transparency through diversified bidding platforms and tie ups with well known OEM’s, Banks & NBFCs and more has helped SAMIL to grow even further. But now with such a huge customer base SAMIL has become the true reflection of it’s “Leadership”. So, Visit Shriram Automall today if you as well need to buy a used car/bike/commercial vehicle, equipments etc. of your choice at the most optimal price or you can also click the link below to go through the inventory full of used vehicles and equipment. Indian automobile industry is one of the key drivers of Indian economy. Since liberalization in 1991 industry has come a long way producing different types of vehicles broadly classified into passenger vehicles and commercial vehicles. Sector is boosting the Indian economy by improving productivity and creating employment opportunities which is great, but on the other hand, out of many reasons automobile sector has become one of the main reasons of air pollution. As many petrol passenger vehicles has been converted to diesel versions which are much more polluting as it gives more mileage and comes cheap. Among the 20 most polluted cities out of which 13 are in India, Delhi topped the list. While planning to take a stand government has decided to open the authorized automated fitness stations in India by 1st October’2018. Government is planning to face the problem at hand by verifying both transport and non-transport vehicles in a planned automated way in near future, as according to IFTRT (Indian Foundation of Transport Research and Training) government should focus on road worthiness of vehicles rather than on vehicle scrappage. 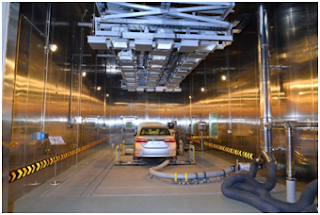 Apart from these, the country is planning to be strict on real driving emission tests of new vehicles. As they plan to fix the vehicular pollution by giving CoP (Confirmation of Product) only to those who confirm the requisition tests through automated procedures. This will stop unsafe vehicles from coming on roads and will also stop human interference like motor vehicle inspectors etc. in testing procedures which will stop easy money. Some states are not yet ready to acknowledge the new scheme, till then idea has been deferred so that states could make up their mind about adequate number of stations in the country. Shriram Automall India Limited (SAMIL), India’s Largest Service Provider for Exchange of Pre-owned Vehicles & Equipment, will inaugurate its 66th Fantastic Automall facility in Agra. The Automall is the 4th facility in the Uttar Pradesh State and is in line with the aggressive expansion plans of the company. Spread across a sprawling 4.6 acres of land the Automall will aim to satisfy the demand of pre-owned vehicles and equipment through an organized medium. 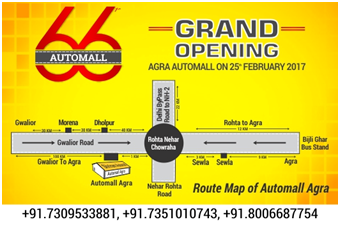 Company aims to catch the eye as well as heart of its customers by inaugurating yet another Automall in Agra, which makes total of ‘66 Shriram Automalls’ unfurled in every nook and corner of the country. Widespread of the company focuses on bringing both sellers and buyers at one place at one time by helping transporters, contractors, dealers, manufacturers, individual buyers etc. attain the unimaginable results through their highly recommended services. Uttar Pradesh is a state that receives major demand of pre-owned vehicles and equipment and Shriram Automall through its constant efforts aims to satisfy the ever growing demand by inaugurating more Automalls in the state. Commercial Vehicles and Passenger vehicles form the majority of demand and SAMIL through its agreements with leading banks and NBFCs will offer the most extensive line up of all segments including commercial vehicles, construction equipment, agricultural equipment, passenger vehicle, two wheeler and three wheelers. You are invited to be a part of the grand inauguration ceremony on 25th February 2017, 10:00 am onwards. 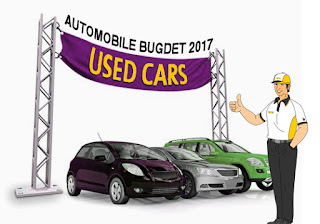 Take part in our most exciting bidding event and buy the used vehicle you desire in the most transparent and organized manner. On the same day the company will also mark its completion of 6 glorious years. 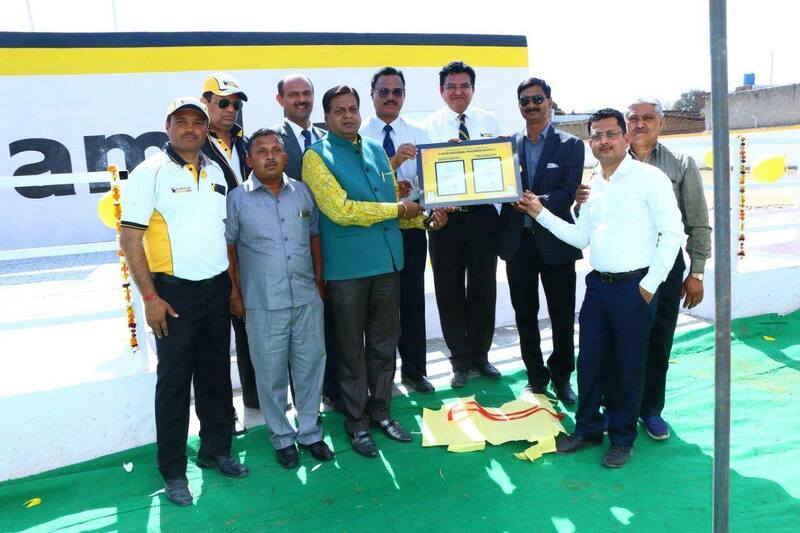 As a part of our expansion plan to inaugurate 75 well structured Automalls by 2020, with the launch of Indore Automall, which is the 65th facility of the company we aim to reach the number before the target set. With favorable demand of used vehicles and equipment across the country along with a positive outlook for the coming years we are hopeful of achieving this new target easily. Our organized & transparent process has been accepted very well by the customers and we are all set to strengthen their trust through this Automall. Due to modifications in the infrastructure, construction and mining sector in India, construction equipment segment has become one of the fastest growing segments of automobile industry in India. India’s infrastructure industry has the highest and biggest potential for growth providing opportunities for investment and with more players entering the aggregate industry we can see the appraisal of construction equipments segment even further. With the increasing demand for the construction equipment SAMIL has become the no.1 solution provider for both public and private enterprises as demand of these equipment are highly lead by the enterprises investing in areas like road construction, and maintenance, ports, power plants, telecommunication sector, urban infrastructural development etc. Today, the road constructionequipment market involves demand of 2500 machines per year and this demand is currently growing by 5% to 7% and in spite of having many players in the market who are dealing in the same segment. Shriram Automall has become the largest player and first choice of the market through their huge inventory providing number of used equipment in good quality and at optimal price. Company manages to reduce the equipment budget by providing good quality pre-owned equipment at optimal rates to the enterprises in a structured regulatory way while paving the way for them to clear the challenges they face which lead to delay in their projects i.e. no availability of the needed equipment or delay in delivery of the constructionequipment. SAMIL provides them the insight to make the complete process both easy and accessible for their customers through their online and physical bidding platforms. In a very short span of time company has grown to be the most trusted one through their hard work and commendable services providing uncommon results and solutions to help the issue at hand. If you are looking to deal in buying or selling used construction equipment as well than SAMIL is the best answer to your where to go question as their one stop inventory provides you with everything you need at your convenience. All you have to do to experience their easily accessible services is to click the link below and register yourself. Two-wheeler segment is leading the Indian auto industry with increasing number of young owners. Today’s self efficient generation wants to drive the world on their own and having their own transport seems to give them ticket to their choice of life. As a beginner, young generation craves to be the owner of their own two-wheeler in a smart way i.e. they look forward to start their journey with a used vehicle rather than buying a new one. Being the easiest way of transportation, demand of used two-wheelers has been witnessing a speedy growth. With such a vast demand, many players entered the market with an unorganized approach in dealing used two-wheelers. But, SAMIL being the no.1 service provider to acquire and dispose pre-owned vehicles and equipment has become the first choice of customers all over India. Company provides market an innovative approach while making their experience of both buying and selling easy. Customers here are free to inspect the vast inventory stuffed with latest & exclusive range of pre-owned two wheelers. Company has made their Automalls OneStop solution to customers all over India by establishing 65 of them in every nook and corner of the country serving thousands of people. From many established dealers SAMIL still came on the top through their other allied services and transparent idealistic bidding platforms which makes process of buying and selling used vehicles accessible for customers at their convenience. By providing complete transparency and wide range of used two wheelers company has turned many youngsters in its direction. As it provides the used vehicle with complete documents and refurbishment facilities and also provides the ‘valuation’ facility for the customers looking forward to learn true worth of their vehicle on road while selling it so that they don’t face the loss. So, if you are looking forward to start you journey or change your journey by acquiring a used two-wheeler or disposing it, SAMIL is the best choice to make all you have to do is click the given link and you are all set to go. 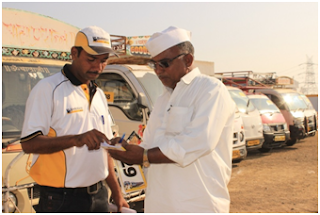 As a marketer, SHRIRAM AUTOMALL look forward to change the mantra from always be closing to always be ‘Helping’. As their team look forward to find services for their customers rather than finding customers for their services. And that’s how their diversified services found me. I am Sandeep Kumar (28). I joined my family business of tour & travels 2 yrs back. I grew up watching my father getting worried about his vehicles on road, their maintenance and not just that while selling or buying the pre-owned vehicles I found him unsure and worried about their true value. But the main problem was to find ways to finance vehicles and then taking care of their insurance. And after all this what always topped the list of his complications was the parking difficulties he faced. But thanks to SHRIRAM AUTOMALL who made his business easy for me as it provided me with the solutions of all the above problems at OneStop. Not only they made my life easy by making my problems theirs, but also provided me quality services at reasonable prices. They not only made buying and selling of pre-owned vehicles easy for me through their different unique bidding platforms but also helped me in negotiating deals with complete transparency and provided me services for my vehicles in long run. The value of an idea lies in implementing it, so if you are facing the same problems go for the services we always thought of having. As Shriram Automall is the solution to all your problems and here is the list of services they provide to keep you out of your misery. 1. Refurbishment By New Look: Here at the Automall they provide you with the services where through efficient repairing process they enhances the probability of disposing pre-owned vehicles. Not just that new look service quality is ISO 9001-2008 certified. 2. Valuation: SAMIL is best known for providing quality vehicles and equipment at optimum price. And they want nothing but the customers to get the real market price of their assets about which they can learn about from their professionals and experts. 3. Easy Finance: Through its parent company STFC (Shriram Transport Finance Company) SAMIL provides finance to their valuable end users. They even provide low EMI’s, up to 100% finance on the bidding events. 4. General Insurance: SAMIL provides complete assistance to customers by providing them complete insurance under which offering them full coverage against damage or loss of vehicles/assets selected through their Physical/Online bidding events. 5. 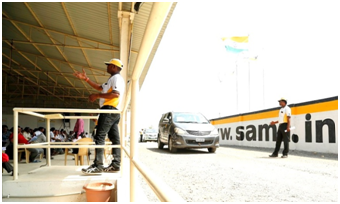 Parking Facility: This is just like every other efficient service SAMIL offers to their customers while giving them surety of safe and guarded security of their valuable assets parked in 70 strategic locations in 30 acres of land. 6. 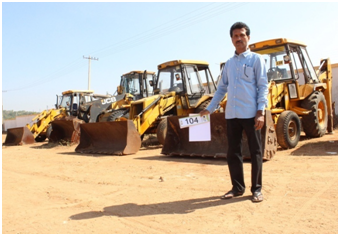 Documentation: Being the no.1 provider and a well known service provider SAMIL allot their customers with complete paper work and certification for the vehicles and equipment displayed at SAMIL’s bidding events. Documents are arranged by Automall Documentation Team which liaisons with RTO offices across India. and let SAMIL’s team do what they do best and that’s providing solutions to people like you and me. 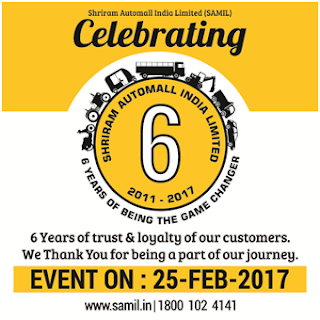 Shriram Automall India Limited (SAMIL) India’s Largest Service Provider for Exchange of Used Vehicles & Equipment will be celebrating its 6th Business Anniversary on 25th Feb 2017. SAMIL plans to celebrate the day in a grand manner by organizing 60+ Physical Bidding Events in a single day at different locations across the country. The company will organize a grand bidding event at their Manesar Location in presence of big industry names, who will grace the event with their esteemed presence and share their guidance with the company & customers. Along with the bidding event the company will also distribute scholarship cheques to deserving students to help them shape their future in a better way. SAMIL in a short span of 6 years has been able bring relentless changes through its efforts in organizing the unorganized market dedicated towards acquisition & disposal of usedvehicles & equipment. The company has embossed its footsteps across the country ranging from national highways to remotest locations. Through its exceptionally brilliant, expert and professional services, the company has touched many lives of many and has transformed them in various ways. SAMIL evolved a proud owner of an asset from a driver, an entrepreneur from an employee as they paved the way for them to start something new, something big. Shriram Automall since its foundation in 2011, has established 65 Automalls from National highways to deepest locations in India and has organized 35,000+ bidding events, serving over 6,50,000 satisfied customers triggering them to generate over 5,00,000 transactions. Head to Shriram Automall to participate in the grand bidding event on 25th Feb 2017 and buy the vehicle or equipment of your choice at optimal price and in the most transparent way. Having your own car is like having the passport to the world. And owning your own car is not that of a big deal as you might think specially with the services and platforms SAMIL provide to their customers by turning surreality into reality. While providing the insight to think beyond since 2011, the company focuses on making dreams come true because they know that big dreams make big things. The company helps evolving proud owners of an asset out of the people who believes in making things happen. Shriram Automall being the no.1 service provider of pre-owned vehicles and equipments makes it easy for their customers to own good pre-owned cars in negotiable rates. Not just that company also provides ‘valuation services’ for people looking forward to dispose their cars and SUVs which helps them in figuring out the real worth of their vehicles. And for the people who intent to buy the pre-owned cars and SUVs, company offers easy finance facilities which turn out to be quite effective as well as efficient for buyers dealing in bulk. As a business SAMILcomprehend to be a functional, convenient resource to their target audience by understanding that road to something big, something new can be strewn through once used vehicles and equipments. Company has become a big hit among both buyers and sellers through their astonishing services which we can figure out easily through customer’s panorama. With the substantial experience and large inventory filled with used enormous vehicles and equipments to choose from, company has evolved in a profound manner in area of buying and selling pre-owned vehicles and equipment meanwhile creating the long lasting relations. Customers can visit the nearest Automall which company has placed all over the country and inspect the vehicle in the inventory before making the deal and look for the best way to buy the desired vehicle with help of SAMIL’S team. If you are also looking forward to be an owner of a car or SUV, Shriram Automall provides you the one stop facility with great inventory all you have to do is click this link and register yourself. Great people know that when spider webs unite they can tie up a LION. Just like when Shriram Automall unite they tie up the best inventory of used vehicles and equipment with finest services to offer their customers. As they believe in creating services for the customers than creating customers for their services. They look forward to help their customers with all their great services way before closing deals with them. SHRIRAM AUTOMALL a subsidiary of STFC (SHRIRAM TRANSPORTATION FINANCE COMPANY) which came into existence in year 2011 and I could not help but notice that this extraordinary company is growing with a remarkable speed gaining both trust and visual presence in the market. As a part of their endeavor to reach out to all the customers throughout the country, they not only opened 65 Automalls and 150+ bidding locations around the country but also tied knots with leading financial institutions like Bank of India ( January 13,2016) , Religare Finvest Limited ( August 10,2016 ) , Manappuram Finance Limited ( June 9,2016 ) and many more which manifests the expansion of the company in span of just 5 years. Sameer Malhotra (CEO) talked about his fundamental aim which to be a resource to his target audience. And by commencing association with these financial institutions company has paved its way to be no.1 choice of customers looking for pre-owned vehicles and equipment. 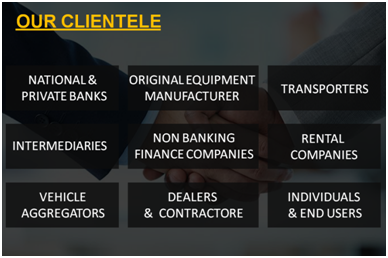 SAMIL strongly believe in building relationships through multi tasking services and platforms which makes the company an accomplished asset to the market of pre-owned vehicles and equipment. As these tie ups are nothing but a proof that it is indeed on the right path of making its presence all over the country while playing its part towards national development as well. 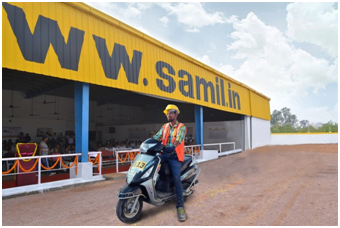 Company was already a big hit for being the no.1 service provider for buying and disposing used vehicles and equipment offering negotiated deals with complete transparency through diversified bidding platforms and tie ups with well known financial institutions has helped SAMIL to grow even further. Life is just like a bumpy road and Shriram Automall makes driving on those bumpy roads worth it with their wide range of used commercial vehicles. As we know that Indian commercial vehicle market has transmuted itself from being the supply-driven segment to the demand-driven segment. Commercial vehicle is a motorized vehicle used to transport goods or paid passengers. And SAMIL is the most trusted service provider of pre-owned commercial vehicles focusing on making dream of transporters in India true by providing them a feasible platform. Commercial vehicle segment has always been the pivotal segment for both the country and its economy. 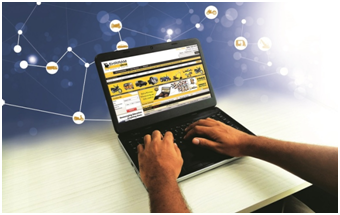 And with the growing demand, Shriram Automalls team has stepped in the market to cope up with the demand providing pre-owned CV’s with both quality and quantity through their advance services like Physical Bidding, Online Bidding, OneStop, Private Treaty and that too in reasonable affordable prices giving you the unforgettable experience of all time. The company came into existence in 2011 and since then they were able to complete over 2 lakh commercial vehicle transactions. With such remarkable performance results SAMIL has become the first choice for both disposing and acquiring pre-owned vehicles. Customers look forward to SAMIL as a trustworthy brand as they focus on finding and supplying the pre-owned vehicles according to customer demand. As they are able to sell the problem nobody else is able to solve making them accountable for all the commercial vehicle demand in the country. They not only offer the wide range of commercial vehicles through their various bidding platforms but also offers easy finance option making buying easy for you while giving you the most transparent dealing experience of all time. Both young and established transporters who are involved in exchange of pre-owned commercial vehicles always prefer SAMIL because they offer the inventory which is hard to match up to as they provide quality, brand and services all at one place. So, if u r looking forward to dispose or buy used commercial vehicles Shriram Automall offers you a good way to go. All you have to do is submit your Query here. SAMIL’s one stop classified kiosks work as the directory for the interested clients as it provides them with the detailed information about the equipments and vehicles available for disposal. Being a highly interactive medium of displaying vehicles and equipments as a OneStop inventory it makes customer experience user friendly. 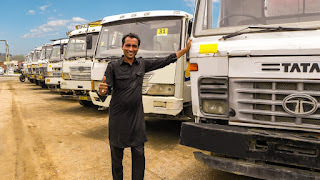 I am Rohit Vij (38), my business is to deal with people who are looking forward to rent trucks and buses for transporting goods, tour and travel purposes. SAMIL made my business easy and vast by giving me the access to OneStop inventory where I was able to go through the list of used vehicles available. With increasing demand of vehicles in market SAMIL helped me satisfy my customers. As SAMIL employees made buying and selling of pre-owned vehicles easy and that too in desirable affordable prices providing the complete transparency between the buyer and the seller while closing the deal. SHRIRAM AUTOMALL is now my first choice for both disposing my trucks, buses and for buying the new pre-owned ones. As whenever I have a requirement they always come up with customized solutions that are very hard to say no to. And as a regular customer I am happy to state that quality of vehicle they provide is commendable. 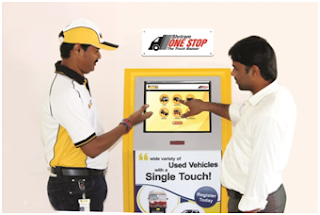 Above all this installation of kiosks in Shriram branches and Automalls provides real-time information on vehicles available across the country in a great detailed manner. Looking at the big picture I can say that SAMIL always move one step ahead to make their customer’s experience both informative and easy, installation of new age machine with touch screen interface is quite a good representation of that. Installation of these KIOSKS in such large number made it easy for everyone to go through the inventory that too in highly interactive manner. All I had to do is look into the inventory list then register for the required vehicle I was looking for. After registration they generated a User ID & Password while giving me the access to go through the vehicle in further more detail. After inspection I got in contact with Automall manager who assisted me with further steps in making the desired vehicle mine. I experience both amazing and user friendly environment whenever I deal with SHRIRAM AUTOMALL team. Shriram Automall India Limited (SAMIL) India’s most trusted network providing well structured bidding platform for buying and selling of pre-owned vehicles; farm, construction, industrial equipments providing insight to customers to think beyond. They have made buying and selling so easy through Physical Bidding facility. Its product oriented culture is what makes SAMIL such a big success. Their products match the needs of their customers resulting in their augmentation not only in urban but also in rural areas through its diversified networks. By focusing on establishing more and more automalls especially in rural areas helps people like me including farmers & drivers etc. to participate in the exclusive event. Not only the event open doors for easy dealing of equipments and vehicles for us but also let us know more and more about the latest market which we generally has no less information due to growing up in an rural environment. Services they offer are something I just cannot help but notice as they help us to improve our livelihood & make our families proud of us. Being a part of their physical bidding event offered me an extremely new and life changing experience all together. Not only they let me inspect the vehicles and equipments in the inventory two days before the event but they also provide a complete transparency between the buyer and the seller. The highest bidder wins aiming to help both buyer and seller reach contentment. At the same time they made me learn about the finance facility making my purchases much easier. I was nothing but a truck driver who now owns 7 trucks of my own. SAMIL helped me start my own business of transportation which I never thought could be possible even in my weirdest dreams until SAMIL offered me all the extraordinary services they had to offer with easy finance availability. My every visit to Shriram Automall makes me feel like home because of the way their team sit with me to visualize my expected targets, plan steps and strategies. They basically string board for my as well as their success in the future. Shriram Automall’s team is nothing but the true reflection of its “Leadership”. And I am proud to say that I am a satisfied customer of this leading Automall. Need to exchange or dispose pre-owned vehicles & equipments? SHRIRAM AUTOMALL is the place to look forward to. The company provides great platforms through their different bidding strategies one of which is Online Bidding commencing to make bidding easily accessible for its customers. Online Bidding turned up to be a responsible catalyst especially for people who find it difficult to be personally available at the Automall for large scale physical bidding events organized by Shriram Automall. Being a regular customer I am glad to state that their understated presence at the right time with the right schemes propagated me along with them. I am Sameer Kumar (28) a farmer (as my father left me a ‘profession’ as a family legacy) from a village in Bihar. I found myself engaged in ‘farming’ since I was 8 with my father , my life was all caught up in its own regime until I came in contact with SAMIL. I financed a tractor from SAMIL 4 years ago and now I am the owner of a big farm field and a lot ofequipments. The result oriented SAMIL employee introduced me to the diversified online strategies company offers making me pay my dues easily without stepping out of my home while introducing me to the Online Bidding not only of vehicles but also of latest agricultural equipments paving the way for me to be the owner of all the latest equipments and vehicles I needed making cultivation, irrigation easy and less time consuming that too at affordable prices. SAMIL’s Online Bidding has been a life transforming experience for me as with all the advance new ways of business they introduced me to helped me evolve my livelihood both personally and professionally. Not just me it has turned lives of many people like me, upside down with just one touch. All the interested buyer has to do is show their interest in the equipment or the vehicle and bid the price for it. SAMIL providing the complete transparency among the buyer and the seller while negotiating the price closes the deal leading to timely delivery. All the efforts and actions SAMIL’s employees make are directed to help their customers live the dream they desire for themselves and I can feel that whenever I deal with SAMIL. As I saw nothing but the complete attainment of what I always wanted when SAMIL employees considered my dream as their own. As Sameer Malhotra (Director & CEO, Shriram Automall) says coming together is the beginning, staying together leads to progress, and working together helps attain success while motivating each other to go far. 2016 was a rough year for the automobile industry; it has gone through a roller coaster ride with some government decisions like diesel ban, GST and demonetization hampering the overall industry growth projected for FY 2016-17. Auto industry contributes 7.1% to the country’s GDP and has been on an evolving note. It is the only industry that took the PM Modi’s Make in India project on its head and contributed the best. The industry is currently recouping and hence a lot of friendly announcements are expected in the Budget 2017 to further boost growth. Relaxation on excise duty - The industry is expecting lowered as well as uniform excise duty structure. This will essentially reduce vehicle cost and boost sales. Faster implementation of GST - The Industry will be expecting the implementation of GST, proposed to come into effect from July 1, 2017, without further delay. Clarification on vehicle scrappage policy - The industry will be keeping its ear to the ground for announcements on incentives, timeline and fleet modernisation under the scrappage program. More incentives for hybrid and electric vehicles – Along with the FAME India scheme, the industry still expects lower taxes and benefits for the segment to grow in the country. Reduction in interest rates - Indian automobile industry will be expecting government to reduce interest rates on auto loans for passenger as well as commercial vehicles.